Long Island was the birthplace of American stock car racing. At its peak, there were over forty racetracks on Long Island, but today, only one remains: Riverhead Raceway. This quarter-mile track somehow managed to slip through the cracks as progress transformed Long Island from a stretch of sand with sleepy main streets and mom and pop farm stands, to a maze of highways connecting shopping malls to buy-in-bulk shopping centers. When it was built in 1949, the racetrack sat on the edge of a small country road surrounded on every side by miles of farmland. The land the track sits on is valued at well over ten million dollars, while the money that it generates in ticket sales on summer weekends is barely enough to keep the lights on. The fact that the Riverhead Raceway remains open defies the laws of capitalism, and the only thing standing in the way of the bulldozers are 87-year-old Barbara and Jim Cromarty. Barbara and Jim bought the track in 1977 and they continue to run it even as multi-million dollar offers roll in, tempting them toward a well-deserved retirement. Barbara and Jim fight to keep it open because they understand that Riverhead carries the burden of being the last bastion of stock car racing on Long Island, and when Riverhead goes, it’s all over. 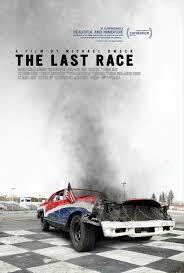 THE LAST RACE is a cinematic portrait of a Long Island stock car race track as its 87 year-old owners struggle to maintain an American racing tradition in the face of a real estate development boom. The film merges image and sound in a unique narrative form to bring the audience into the world of grassroots racing culture and explores a story that subtly grapples with questions of blue collar American identity that have taken on a profound relevance in the current political era. 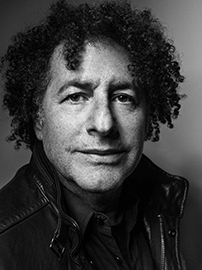 Director Michael Dweck talks about the community and the loss of a place where people have come to laugh, cheer and share in the ties that bind. This entry was posted in documentary, drama, dramedy, Film Festival, Film School interview, HotDocs Film Festival, Independent Lens, Indie, Sundance by admin. Bookmark the permalink.